London (AP) – Two-time champion Fernando Alonso will leave Formula One at the end of the season and potentially move to IndyCar in the United States. McLaren Racing confirmed Tuesday the Spaniard will not return to F1 next year for an 18th season, and Alonso said F1’s leadership group tried to convince him to stay with the series. There’s been lengthy speculation that McLaren will enter IndyCar with Alonso as one of its drivers. Alonso ran the Indianapolis 500 a year ago and was in position to win the race until his engine failed. He also ran the Rolex 24 at Daytona as a warm-up for the 24 Hours of Le Mans, in which Alonso was part of the winning team. 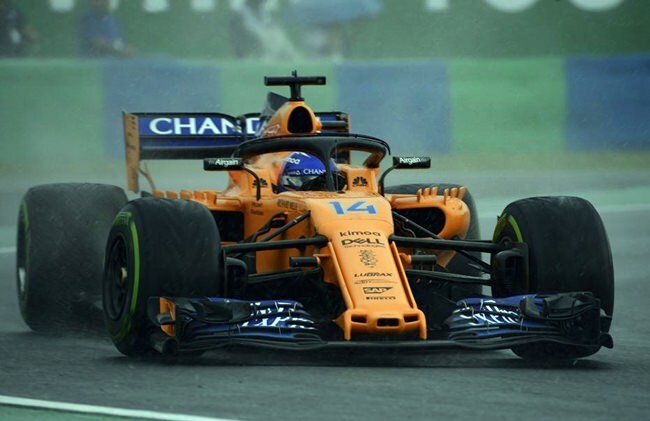 Alonso has been pursuing the top motorsports events and has said he would like to return to Indianapolis and add a win in “The Greatest Spectacle in Racing” to his resume. Alonso has 32 career F1 wins, 22 poles and 97 podiums. He won two world titles and was runner-up three times. He’s in his fifth season driving for McLaren and had hinted on social media he had an announcement coming Tuesday. He delivered with a farewell video to F1 and in it noted “today I have some other bigger challenges than you can offer me” as the camera showed Alonso standing in front of his Indy 500 helmet. McLaren has not been competitive the last two seasons and Alonso, currently ninth in the standings, had been debating his future in the series. Brown was a key player in Alonso’s entry at Indianapolis, Daytona and Le Mans. He’s supported Alonso’s quest to enter other formulas and signed off on the driver skipping the Monaco Grand Prix in 2017 to instead race at Indianapolis. Brown is also behind McLaren’s potential entry into IndyCar and the team is believed to have courted four-time IndyCar Series champion Scott Dixon to be Alonso’s teammate. Dixon on Monday announced a contract extension to remain with Chip Ganassi Racing, but acknowledged the presence of McLaren in his free agency talks made it a “noisy” process.